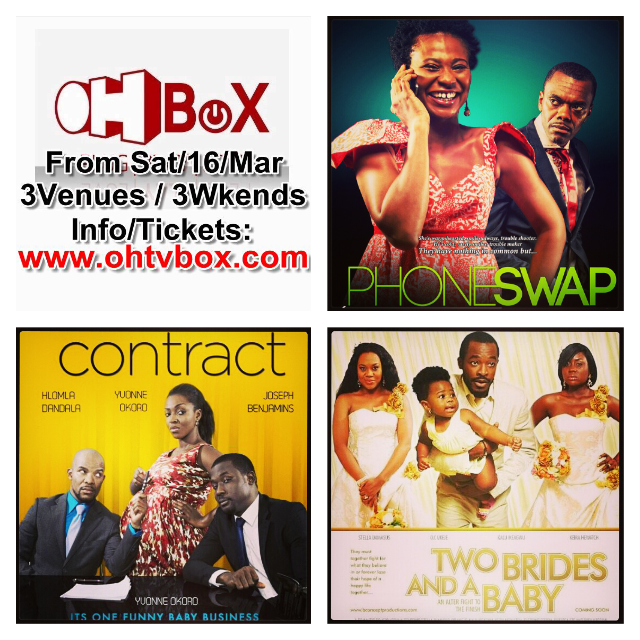 Tickets will be available for sale at the cinemas. 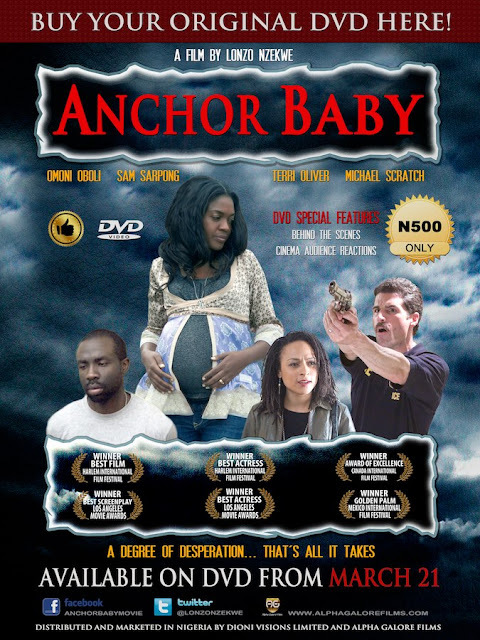 The blockbuster movie ANCHOR BABY is now out on DVD in Nigeria from March 21. The movie which stars Omoni Oboli, Sam Sarpong, Terri Oliver and a host of others is loaded with 'Behind The Scenes Special Features' including Nigeria and Worldwide cinema audience reactions. Yesterday i attended the press launch for the AFCAR 'Friends of Africa vs Friends of The Caribbean' family fun day and fundraiser held at the London Hilton Kensington. AFCAR The Game and Fun Day is a charity event which will feature a football game between a Friends Of Africa XI (captained by Efe Sodje) and a Friends Of The Caribbean XI (captained by Jason Roberts). The day will also feature many family fun day activities including a culinary 'cook off' and sporting activities for children. 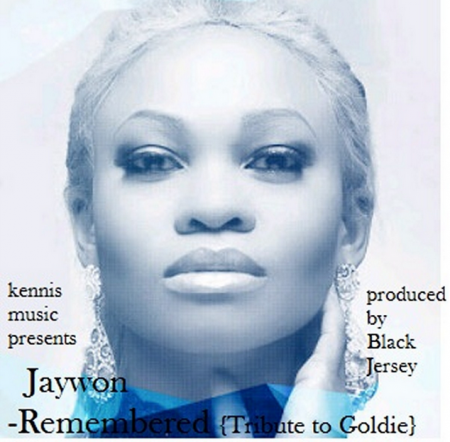 Jaywon records Remembered - a touching tribute song to Goldie. 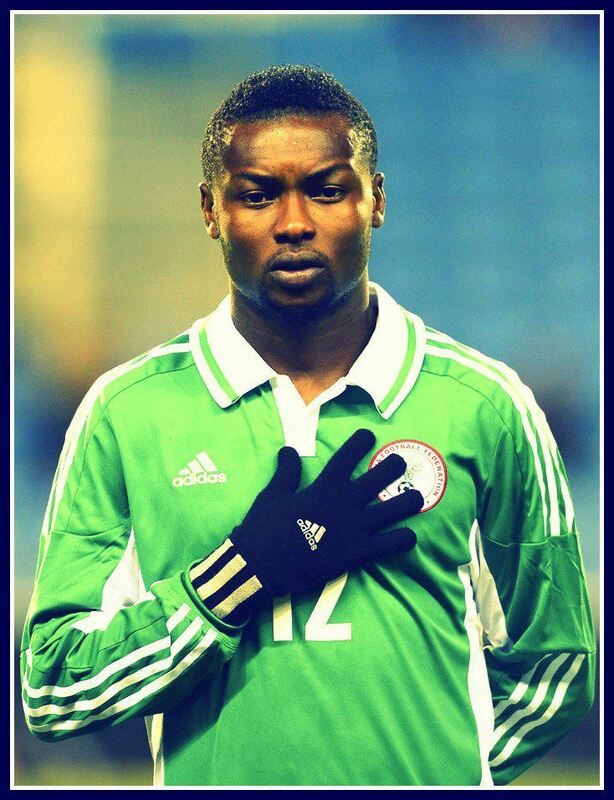 A very beautiful and touching tribute song to Goldie by Jaywon titled Remembered. Very nice!! Pls listen, share and download. 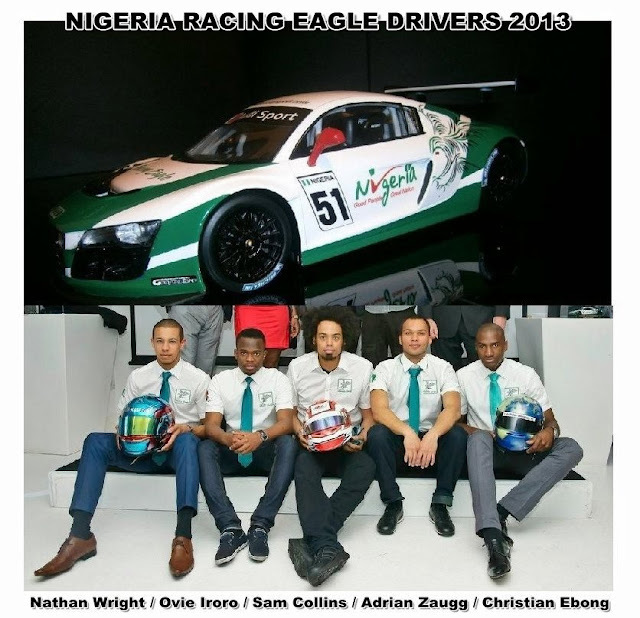 NIGERIA RACING EAGLE unveils its drivers in London..
Nigeria Racing Eagle (NRE) recently unveiled its drivers for this season in a plush event at the swanky London's westend venue Vanilla. Pictured are 5 of the drivers (L-R) Nathan Wright - Nigeria, Ovie Iroro - Nigeria, Sam Collins - Nigeria, Adrian Zaugg - South Africa, Christian Ebong - Cameroon and not in the picture - Gugu Zulu - South Africa. The driver line-up is wearing an 'African' look with the inclusion of 2 South Africans and a Camerounian. This is due to part of NRE's commitment to unite and expose the best of the continent to a new sporting frontier. Nigeria Racing Eagle will be competing in the Avon Tyres sponsored British GT Championship which will feature 5 other teams (Read full story here). NRE is an international Motorsport racing team flying Nigeria Flag at FIA GT Series. Press Conference by SRO (Stéphane Ratel Organisation) promoter of GT Championship in Europe with Christian Ebong (driver) and Ribi Adeshokan (owner) of the Team Nigeria Racing Eagle. 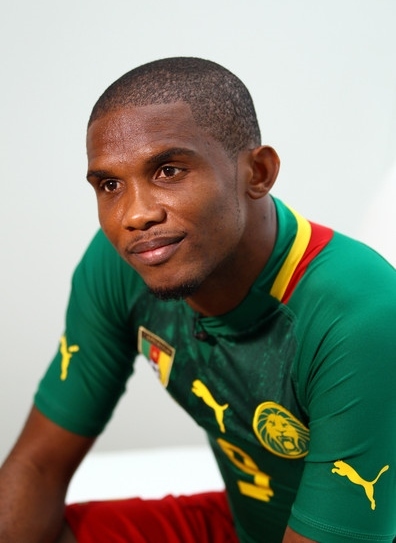 Meet the worlds richest African footballer Samuel Etoo at £52M..
Samuel Etoo is the worlds richest African footballer. He's worth just over £52Million according to the 2013 Goal Rich List. The index looks at the net worth of footballers taking salaries, endorsements and assets into account alongside business interests. Top of that list as the worlds richest footballer is David Beckham with £175m, followed by Lionel Messi (£115.5m) & Ronaldo (£112m). Etoo is 6th on the global list. The 32 year old ex-Cameroun international Etoo whose previous clubs include Real Madrid, Barcelona and Inter Milan currently plays for Russian club side Anzhi Makhachkala where he earns an annual salary of £37.5m which makes him the 2nd highest paid athlete (after Tiger Woods) and the highest paid footballer. 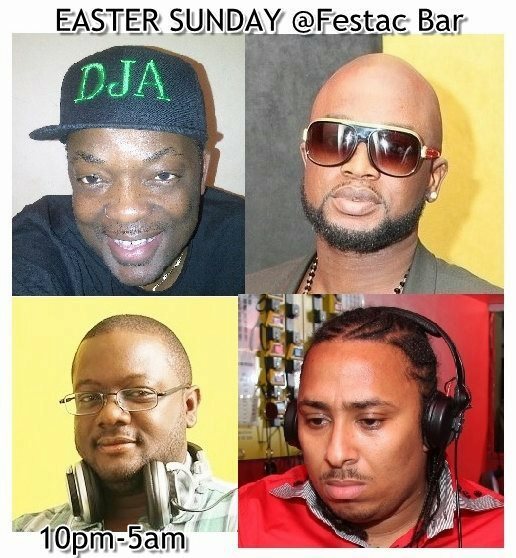 On two floors of music with four of London's hottest DJ's. 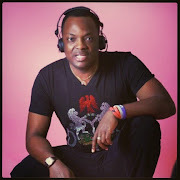 Lagos State Civil Defence Commandant Can't Tell His Organisation's Web Address .. In a live tv interview on Channels TV, the Lagos State Civil Defence commandant was asked to tell viewers the official website of the Nigeria Security and Civil Defence Corp (NSCDC). Very simple question!! His reply now makes me seriously question the minimum entry requirement for NSCDC officers. Hilarious and sad at the same time!! 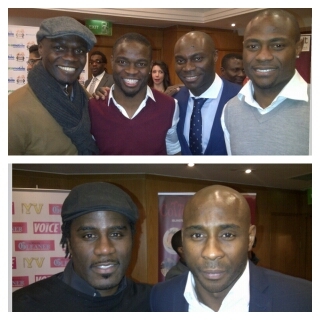 Caught up with Ramsey Nouah, Kunle Afolayan & Tee-A yesterday. 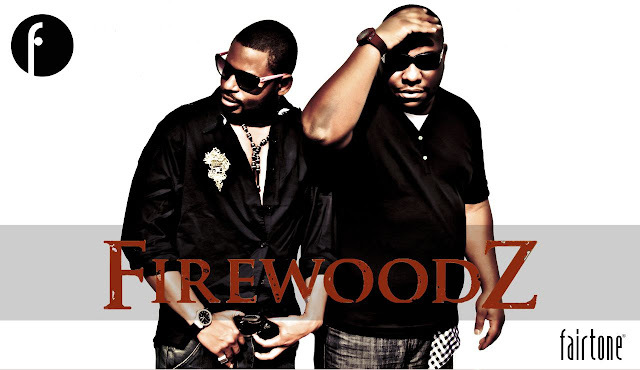 Check out what they were up to.